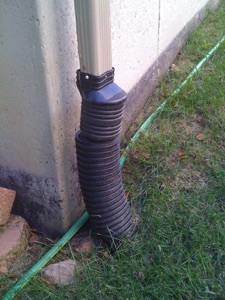 4” PVC Underground Downspout Extensions are the most reliable way to protect your foundation. 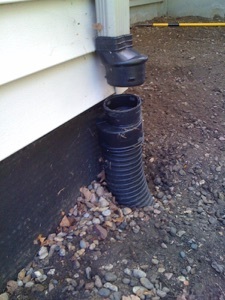 Above ground black flexible downspout drains are ugly, hurt your homes value & give the impression you have a water problem. 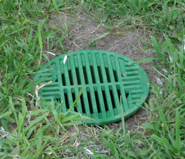 They are also inconvenient to mow around and often get knocked off. 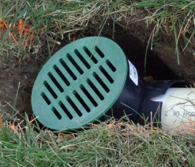 Installed below grade they create a trap for debris. 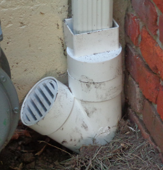 The ridges collect roof sand and gutter debris. 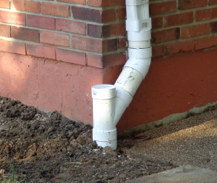 Within a short time they will always fail and when water starts once more to get in your basement, homeowners don’t realize their flexible underground drains have failed. 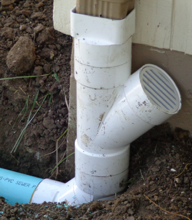 Installing proper straight rigid PVC drains washes all debris out to a catch basin where it can be easily cleaned and monitored. 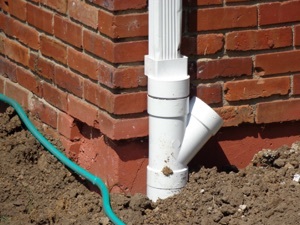 Your finished basement will remain clean and dry and you’ll be able to sleep soundly while the rain is coming down. 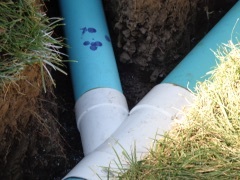 These are failed drains. 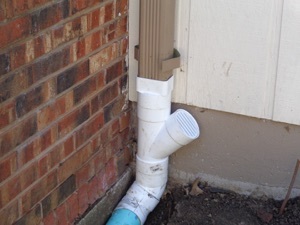 They settle, are not water tight, collect debris and always plug up making your basement water problems worse!